TOMS is giving "pumped up kicks" a new meaning this holiday season. 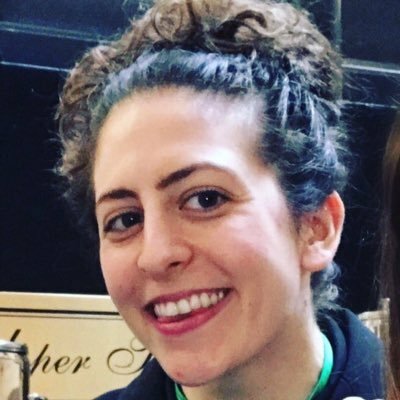 Written about the mental illness that can trigger mass shootings, Foster the People's 2010 hit contained the lyric, "All the other kids with the pumped up kicks/You'd better run, better run, out run my gun." TOMS has taken a big step to remove such notions from our collective consciousness (and pop lexicon), pledging to donate $5 million toward ending gun violence. This is the largest single corporate donation toward gun control in U.S. history. The initiative has received an outpouring of positive press coverage and social media engagement. And as a mission-driven brand known for the one-for-one match on which it was founded, TOMS has often led the pack insofar as social and online messaging around social good initiatives over the years. 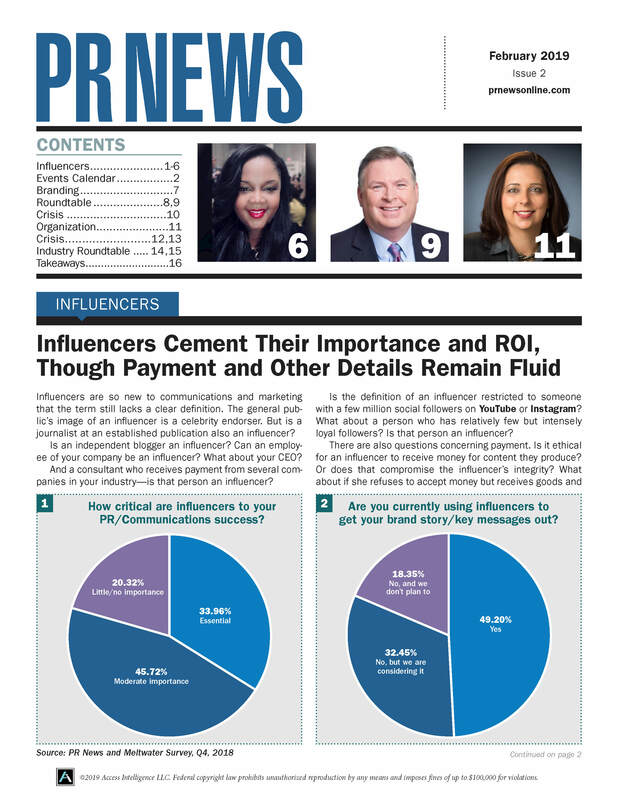 Here are three best-in-class solutions TOMS deployed for its latest campaign that communicators can apply to their own CSR messaging. Personalizing the message from leadership. In a tearful segment on "Jimmy Fallon Tonight" Nov. 19, TOMS' founder Blake Mycoskie shared the news about TOMS' gun control initiative. TOMS' home state of California has seen two deadly shootings in recent months, including one in Thousand Oaks, where Mycoskie's family lives. Mycoskie told the Huffington Post that his wife was scared to drop their son off at school following the shooting. Offering a personal anecdote, as well as showing vulnerability on national television, put a very human face on the initiative—and the people behind it. A redesigned home page. 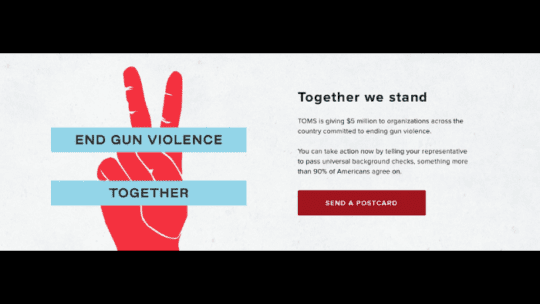 TOMS' website now features a wide banner ad with the campaign logo, a hand making the peace sign emblazoned with the words "END GUN VIOLENCE TOGETHER" (Mycoskie wore a shirt with the same design during his Fallon segment). In fact, the campaign is spotlighted even more than the brand's Giving Tuesday ads—sending the message that the company cares more about doing good than selling its products. And giving the initiative real estate on the company home page, as opposed to creating a dedicated microsite for it, puts the campaign front and center from an SEO perspective. Accessible call to action. The new website urges visitors to fill out their information in order to send a postcard to their congressional representatives to ask for universal background checks on all gun sales in the U.S. The new software system TOMS commissioned puts a unique spin on online petitions—and it only takes a moment to fill out the form, as Fallon demonstrated during Mycoskie's segment. Even though it's not tied to TOMS' e-commerce, the initiative puts a focus on customer experience, making for smooth sailing for the end user.